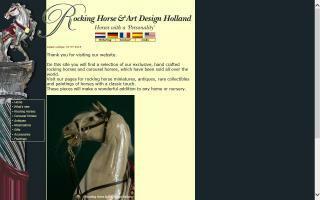 Rocking Horses Directory - O Horse! 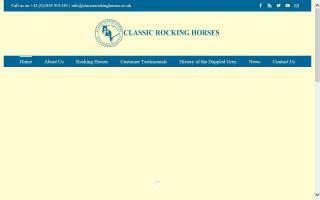 Quality traditional hand carved Victorian style wooden rocking horses and rocking horse restoration. Wooden toy rocking horses from MyWoodenToy.com - Quality wooden horses at affordable prices. 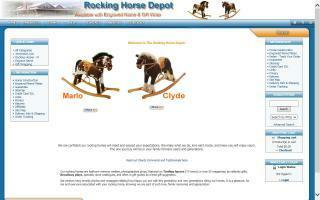 We specialize in exclusive handcrafted rocking horses and the restoration of antique and carousel horses. Rocking horse same day shipping with engraved name and gift wrap. 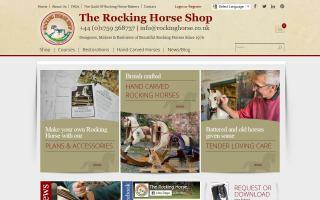 Makers of the finest rocking horses, rocking horse plans, and rocking-horse books. Anthony Dew and company have been designing and making beautiful carved rocking horses for over twenty years. 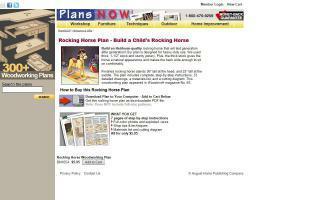 Rocking horse woodworking plan for immediate download from PlansNOW. Sugar Plum Oak is excited to offer you solid Amish built oak and cherry furniture! Built by the Amish in Ohio, our furnishings reflect pride in workmanship in solid wood that you won't find in today's factory-line furnishings.